A young and attractive English teacher at Seika High. She may have non-Japanese ancestry because of her name and the comments on her looks. She's an acquaintance of Tora Igarashi who made her join Seika High, in order to make Usui quit. Wearing revealing clothes as well as having a large bust and being very short, she attracts the attention of male teachers and students. Misaki instinctively protects her from them, causing Maria to fall in love with her. 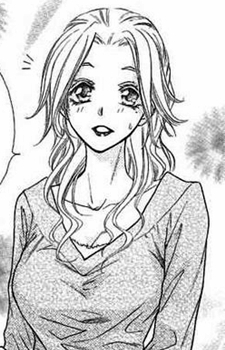 Initially thought of by Misaki as a potential rival for Usui, Maria confesses her love to Misaki. She has a fiance, Shinji, but she only considers him as a mere childhood friend. She also knows about Misaki's part time job.